1. When you register and use this site you will be asked to provide certain information such as your contact details. We will store this data and hold it on computer or otherwise. We will use this data to fulfil our contract with you. 2. We employ other companies to perform some functions on our behalf e.g. a bank to process your credit card payments and a courier to deliver your order. We will supply such companies with your personal data to enable such companies to perform their functions but for no other purpose. Such companies must comply with the Data Protection Act 1998. 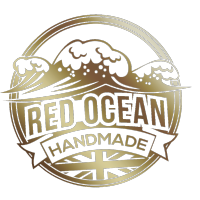 (c) To enable other reputable companies selected by Red Ocean to tell you about their products and services directly. If you do not wish to receive such mailings please Un-Tick the opt-in box when registering. 3. To protect Red Ocean and our customers from fraud or theft, we may pass on information that we obtain from making identity checks and other information in our customer records, including how you conduct your account, to other retailers and to financial or other organisations (including law enforcement agencies) involved in fraud prevention and detection, to use in the same way. 4. Cookies are small pieces of information that are stored by your browser on your computer hard drive. Cookies are used to ensure that items placed into your shopping basket and orders are processed correctly, to identify you as you travel around our site and to provide site usage information, which together with purchase information, will further help us improve and develop the products and services we offer. No recognisable personal information is stored in the cookies that can be tracked back to a individual. You will need to ensure your cookies are enabled to purchase from our site. 5. Red Ocean endeavours to take all reasonable steps to protect your personal information. However, we cannot guarantee the security of any data you disclose on-line. You accept the inherent security risks of providing information in dealing on-line over the internet and will not hold us responsible for any breach of security unless this is due to our negligence or wilful default. 6. You have the right to see personal data (defined in the Data Protection Act) we keep about you upon receipt of a written request from you and payment of a fee. If you are concerned that any of the information we hold on you is incorrect please contact us. 7. Please be aware that our site may link to other web sites. We are not responsible for the data policies or the content of these linked web sites. If you wish to be removed from our mailing list please reply to any automated email you have received with the word “remove” in the subject line and the email address that you wish to be removed within the email. Please note that each electronic mailing we send you will contain details of how you can unsubscribe.